For all of your Staging, P.A. and Lighting Needs! 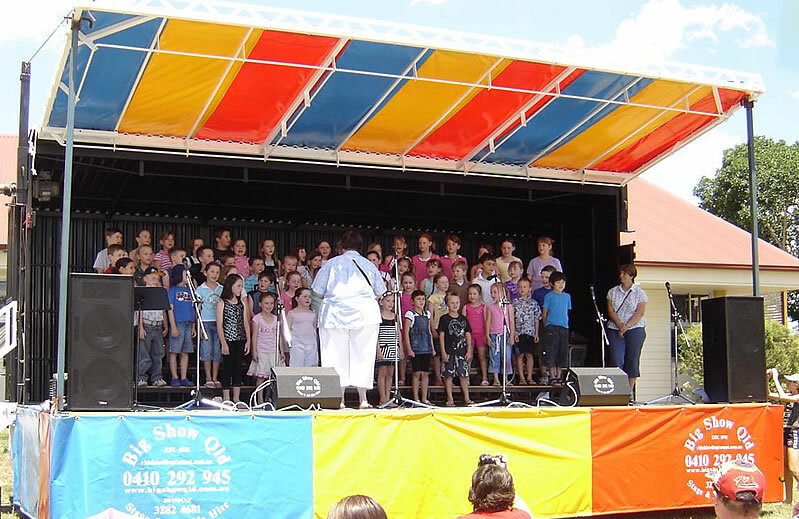 Our stage is perfect for school fetes, fundraisers and business promotions. We can provide all sound and lighting with our stage for a professional presentation. Area required: 9 metres x 6 metres. Performance area: 8 metres x 5 metres – fully covered. Banner area: Above the roof – 8 metres x 1 metre. Back wall banner area: 8 metre x 2.5 metre background banner area. Health and safety compliant fences are available for sides. Edge marker on front of stage.